Many of them are unimportant, really quite inconsequential actually, so they're easy to overlook. Oh, I try. I try SO hard. Control is something I find very hard to relinquish. Often giving my best effort on the agenda. Putting in safe guards wherever I can think of them. Trying to do everything by the book. Except often the self-righteous, independent mode kicks in. In the morning it's a prayer, "how much I need you today Lord," but the afternoon may show quite a different story. Today, I had to fully surrender. Again. Another person's willingness to work together. A hope & a promise that I'm still waiting on. A dream that God put in my heart years ago, but the calendar is still turning and I'm not seeing anything. 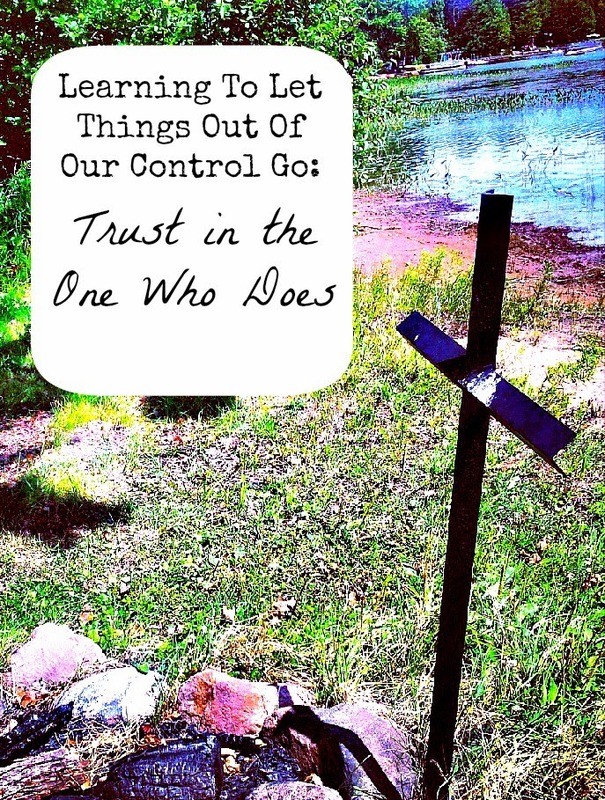 Turn to the One who controls it all. I would feel the same way...good for you for leaving the room! Better than the alternative, isn't it?! As usual, thanks for stopping by :) Such a fun link up!!! God is enough. I'm learning this. Thank you for sharing.